Thanks to all our members who sent opposition letters to their California legislators and the acting Public Utility Commissioners earlier this month. For those not familiar with this specific call to action, the letters urged the CPUC not adopt a decision that would dramatically increase costs associated with the Power Charge Indifference Adjustment (PCIA) charge, an on-going exit fee levied on Community Choice customers to cover their allocation of long-term financial obligations incurred by utilities for prior investments. Unfortunately, the news on this front is not good. The CPUC elected to go forward with the “Alternate Proposed Decision,” which according to the California Community Choice Association and other CCA advocates will add up to hundreds of millions of dollars in additional costs. 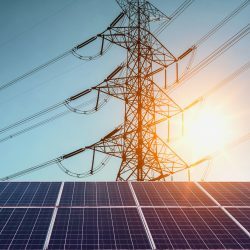 These new costs could discourage further market entry by CCAs, as they rely on offering rates lower than utilities’ rates to incentivize new customers. According to Nick Chaset, CEO of Alameda County’s East Bay Community Energy, a PG&E analysis found the alternative decision approved Thursday would result in at least an 18% increase in the PCIA rate, shifting more than $300 million onto the CCAs in its territory. San Francisco CCA CleanPowerSF estimated it would pay an additional $40 million, or about 25 percent of its annual revenues, under the new PCIA regime.